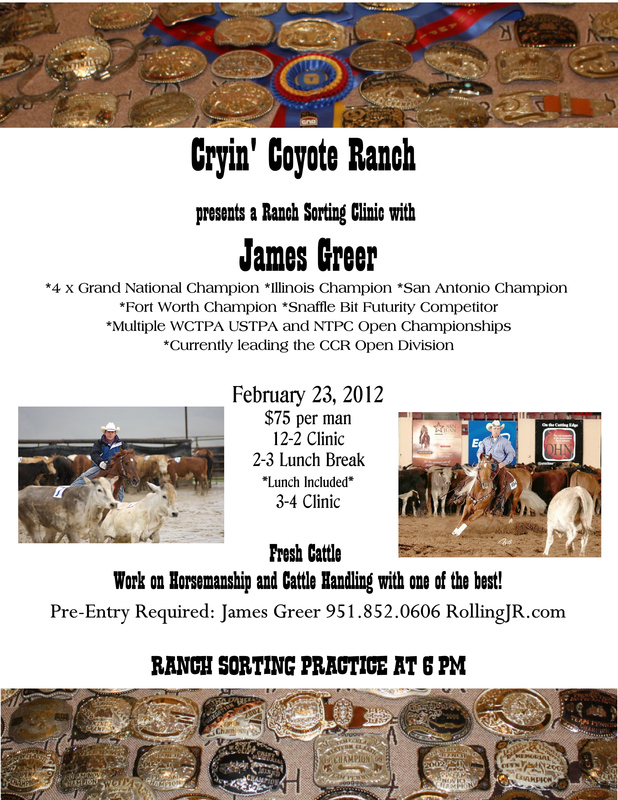 Don’t forget about the clinic at Cryin’ Coyote in Yuma, AZ this Thursday! We are definitely still sorting on Sunday and we’ll have buckles! James will be giving Ranch Sorting lessons Wednesday, February 15 at 7 PM and Team Penning lessons Thursday, February 16 at 7 PM. Winter Series Flyer and Rules have been updated!